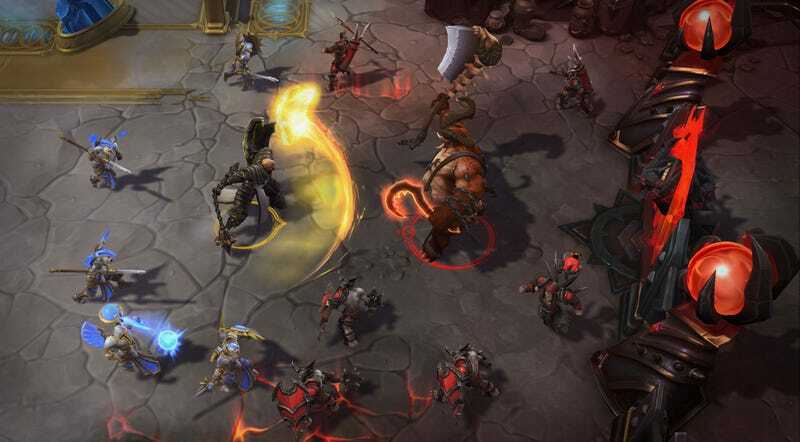 Blizzard hasn’t said much about in-game toxicity in Heroes of the Storm since before the game had launched, leading the MOBA’s current systems to feel somewhat outdated for its growing audience. Today the developer finally revealed some promising new initiatives on the dealing-with-jerks-online front. Along with the new reporting categories, Blizzard is also adding a new penalty for players who cross the line. Going forward, players who receive multiple reports for spam or abusive chat will be temporarily “silenced”—i.e, unable to participate in most types of in-game chat. This sounds similar to the way that League of Legends handles its chat restrictions. And while Riot’s penalties and reporting systems aren’t perfect, they’re certainly more robust than what Heroes of the Storm started out with. The main problem that HOTS (like League) will likely run into here is with accuracy—penalizing the wrong people, say, or misreading player reports that were submitted for the wrong reasons. To Blizzard’s credit, however, they already addressed some of the most common concerns with inaccurate reports. Today’s blog post mentions that Murky and Abathur players who are reported for feeding/being AFK won’t be punished simply for playing these characters the way they’re supposed to.